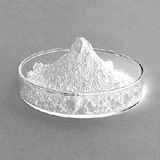 gamma-PGA and its derivatives can be widely used in the food industry, cosmetics, health care,water treatment, hygienic products, medical,Pharmaceutical and other fields. Polyglutamic acid Pharmaceutical(medicine) grade is a natural occurring, multi-functional, and biodegradable biopolymer. It is produced through fermentation by Bacillus subtilis using glutamic acid. PGA is consists of glutamic acid monomers crosslinked between α-amino and γ-carboxyl groups, and the molecular weight of PGA is usually between 100~1000 kDa. It is water-soluble, edible and non-toxictowards human, and is environment friendly. It has broad applications in the fields of medicine, food, cosmetics, and water treatment.